ATLANTA, Ga. (Aug. 29, 2016) – Chick-fil-A customers in the states of New York and New Jersey, and cities of San Diego, Columbia, SC, and Washington, DC will be the first to taste three new breakfast items this fall. 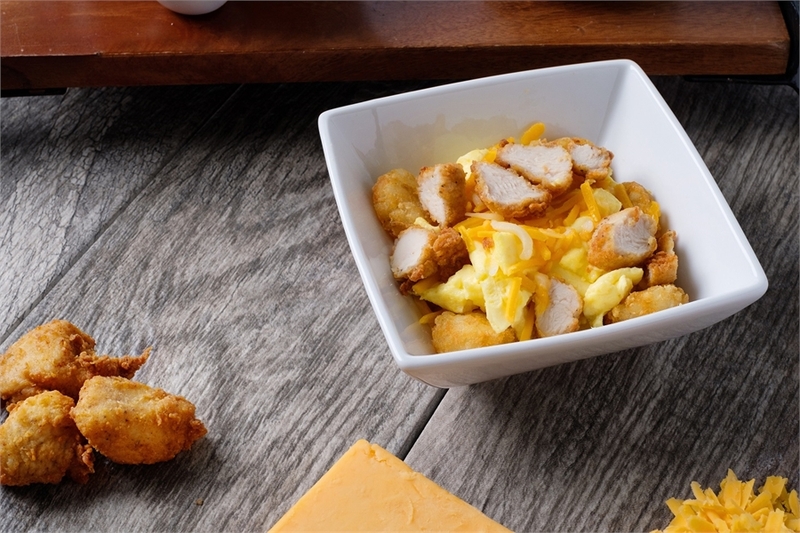 In an effort to offer both classic customer favorites, and breakfast options with new flavors, Chick-fil-A® is testing a new Hash Brown Scramble – that can be served in either a bowl or as a burrito- and an Egg White Grill Bowl. 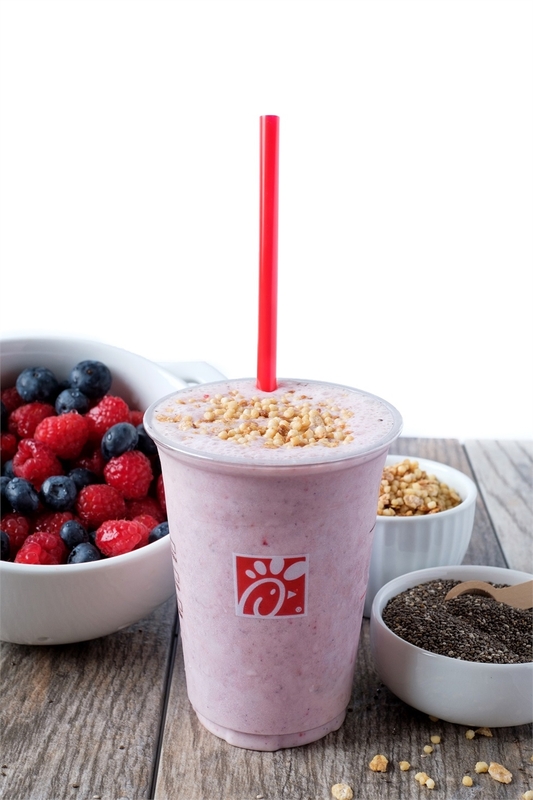 The same restaurants will also test a new Berry Protein Blend breakfast beverage. The new breakfast items will be available at participating restaurants during breakfast hours. The Hash Brown Scramble is a hearty breakfast option served as a burrito or in a bowl. The Scramble includes crispy Chick-fil-A Hash Browns, scrambled eggs, a Monterey Jack cheddar cheese blend and a choice of sliced Chick-fil-A Nuggets or sausage. It is served with Jalapeño Salsa. The Hash Brown Scramble Bowl has 450 calories and 30 grams of protein. The Hash Brown Scramble Burrito contains 650 calories and 31 grams of protein. The Egg White Grill Bowl is a new protein-packed breakfast entrée that’s also low in calories, making it a great choice for health-conscious guests. 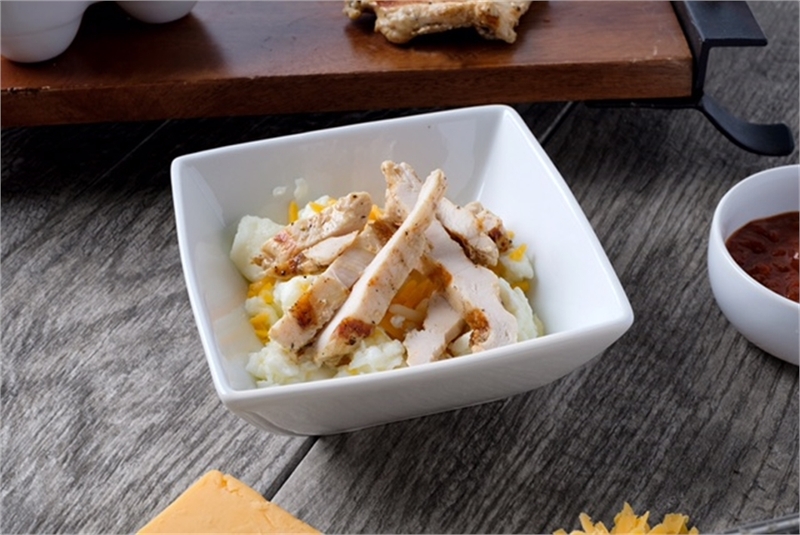 Inspired by Chick-fil-A’s new Egg White Grill breakfast sandwich that rolled out in July, the Egg White Grill Bowl contains freshly scrambled egg whites, a Monterey Jack cheddar cheese blend and sliced grilled chicken. It is also served with Jalapeño Salsa. The Egg White Grill Bowl has 180 calories and packs in 29 grams of protein. A great option for customers on-the-go, the new Berry Protein Blend is a substantial breakfast beverage made with chia seeds, ancient grains, mixed berries and yogurt. It’s handspun with a small portion of Chick-fil-A’s signature Icedream® and topped with Honey Brown Sugar Granola for an extra crunch. The Berry Protein Blend beverage has 340 calories and 23 grams of protein. In addition to the menu items that Chick-fil-A is testing in select markets, customers will also be able to order the Chicken Egg & Cheese breakfast sandwich on the newly added English muffin. The new breakfast items will only be available in participating restaurants during the limited-time test, from August 29 to November 5. Chick-fil-A will evaluate customer feedback following test to determine if the new menu items will rollout nationwide in the future. Customers are encouraged to contact their local Chick-fil-A regarding menu item availability.